In conjunction with the Knights of Columbus, St. John's School presented a Veterans Day assembly on the Flags of America and our veterans. 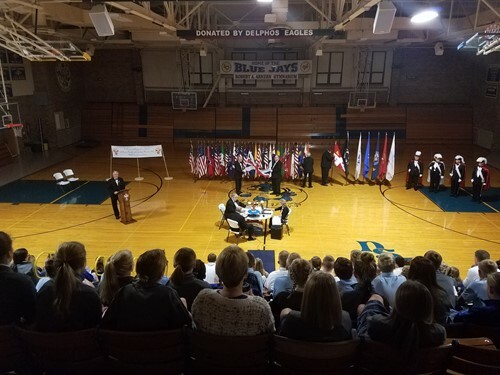 The Junior High and High School students and staff shared the history of the FLags of America by K of C members from around the area. We want to say THANK YOU to all Veterans that have served and are currently serving our country. Thank you Mr. Desenberg for helping organize this wonderful event.